Every refrigerator problem can be repaired by Fresno Refrigerator Repair. 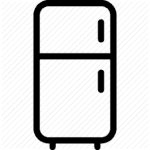 If you couldn’t find the problem of your refrigerator in the list above, do not hesitate to call us we will help you in every problem of your refrigerator. Moreover, Fresno Refrigerator Repair fixes every brand of refrigerators. Some brands of refrigerators, which are repaired in Fresno CA, are in the following list.